Venture out of the city with trips to Warner Bros. Movie World (in Oxenford), Sea World Theme Park (in Main Beach) and Surfer's Paradise Beach (in Surfers Paradise). Pack the 7th (Fri) with family-friendly diversions at Dreamworld. Spend the 10th (Mon) exploring nature at Kondalilla National Park. The adventure continues: let the kids burn off some steam at South Bank Parklands, get great views at Mount Coot-tha Lookout, kick back and relax at Mooloolaba Beach, and take in nature's colorful creations at Roma Street Parkland. To find other places to visit, photos, maps, and more tourist information, read our Brisbane online tour planner . Sydney to Brisbane is an approximately 4-hour flight. You can also do a combination of flight and bus; or drive. 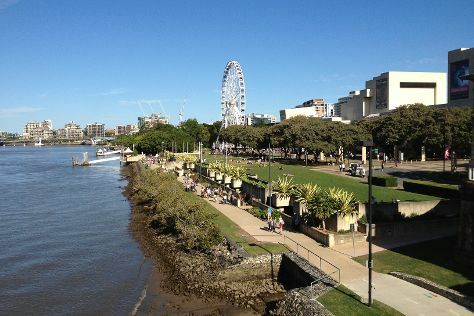 In November in Brisbane, expect temperatures between 31°C during the day and 21°C at night. Wrap up your sightseeing on the 10th (Mon) to allow time to travel to Alice Springs. Alice Springs is known for wildlife, museums, historic sites, nature, and parks. 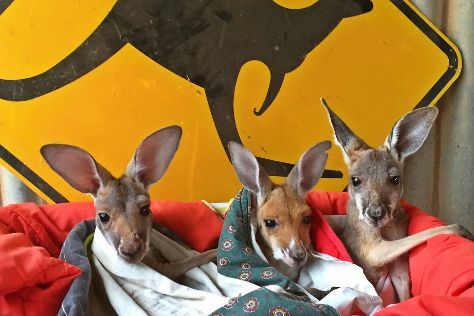 Your plan includes some of its best attractions: identify plant and animal life at The Kangaroo Sanctuary, get great views at Anzac Hill, steep yourself in history at Alice Springs Telegraph Station Historical Reserve, and get interesting insight from Tours. For ratings, where to stay, maps, and more tourist information, read our Alice Springs trip itinerary maker app . Traveling by flight from Brisbane to Alice Springs takes 5.5 hours. Alternatively, you can drive; or take a bus. Expect a bit warmer weather when traveling from Brisbane in December: highs in Alice Springs hover around 41°C, while lows dip to 24°C. Wrap up your sightseeing on the 14th (Fri) early enough to travel to Adelaide. You'll find plenty of places to visit near Adelaide: Encounter Bikeway (in Victor Harbor), The Cedars (in Hahndorf) and Horseshoe Bay (in Port Elliot). Dedicate the 15th (Sat) to wine at some of the top wineries in the area. And it doesn't end there: take in nature's colorful creations at Adelaide Botanic Garden, catch a live event at Adelaide Oval, get a new perspective on nature at South Australian Museum, and enjoy the sand and surf at West Beach. For ratings, other places to visit, maps, and more tourist information, go to the Adelaide trip itinerary planning site . You can fly from Alice Springs to Adelaide in 4.5 hours. Other options are to drive; or take a bus. In December, Adelaide is a bit cooler than Alice Springs - with highs of 30°C and lows of 17°C. Wrap up your sightseeing on the 24th (Mon) early enough to travel to Melbourne. Change things up with these side-trips from Melbourne: Werribee Open Range Zoo (in Werribee), The Great Ocean Road (in Torquay) and Sovereign Hill (in Ballarat). Dedicate the 29th (Sat) to wine at some of the top wineries in the area. There's lots more to do: admire the natural beauty at Royal Botanic Gardens, admire the masterpieces at National Gallery of Victoria, make a trip to Block Arcade, and enjoy breathtaking views from Eureka Skydeck 88. To find traveler tips, reviews, and other tourist information, read our Melbourne trip itinerary builder site . Traveling by flight from Adelaide to Melbourne takes 3.5 hours. Alternatively, you can drive; or take a train. In December in Melbourne, expect temperatures between 30°C during the day and 14°C at night. Finish up your sightseeing early on the 5th (Sat) so you can travel to Canberra. Explore Canberra's surroundings by going to Wee Jasper Reserves (in Wee Jasper) and Tumut River (in Tumut). 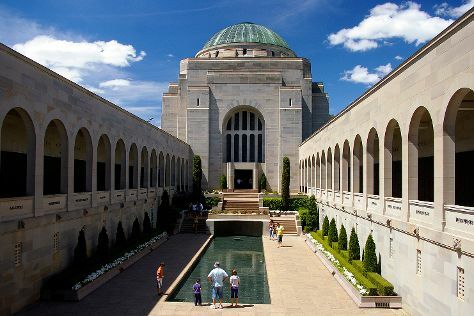 There's much more to do: take an in-depth tour of Australian War Memorial, explore the wealth of natural beauty at Australian National Botanic Gardens, admire the masterpieces at National Gallery of Australia, and ponder the world of politics at Royal Australian Mint. For where to stay, traveler tips, reviews, and tourist information, go to the Canberra trip itinerary planning tool . Traveling by flight from Melbourne to Canberra takes 3.5 hours. Alternatively, you can drive; or take a bus. January in Canberra sees daily highs of 35°C and lows of 15°C at night. Wrap up your sightseeing on the 13th (Sun) to allow time to drive to Sydney. Explore Sydney's surroundings by going to Katoomba (The Three Sisters, Echo Point Lookout, & more), Everglades Historic House and Gardens (in Leura) and Gallery Blackheath (in Blackheath). Spend the 19th (Sat) exploring nature at Sydney Harbour National Park. 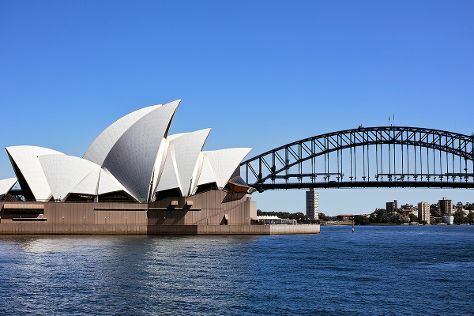 And it doesn't end there: see a show at Sydney Opera House, wander the streets of The Rocks, admire the natural beauty at The Royal Botanic Garden, and make a trip to Sydney Harbour Bridge. To find where to stay, reviews, maps, and other tourist information, read Sydney sightseeing planner . Drive from Canberra to Sydney in 3.5 hours. Alternatively, you can fly; or take a bus. Expect somewhat warmer evenings in Sydney when traveling from Canberra in January, with lows around 23°C. Cap off your sightseeing on the 28th (Mon) early enough to travel back home.